‘People’ at Deitch Projects Soho. Image courtesy of the Gallery. It’s Summer! 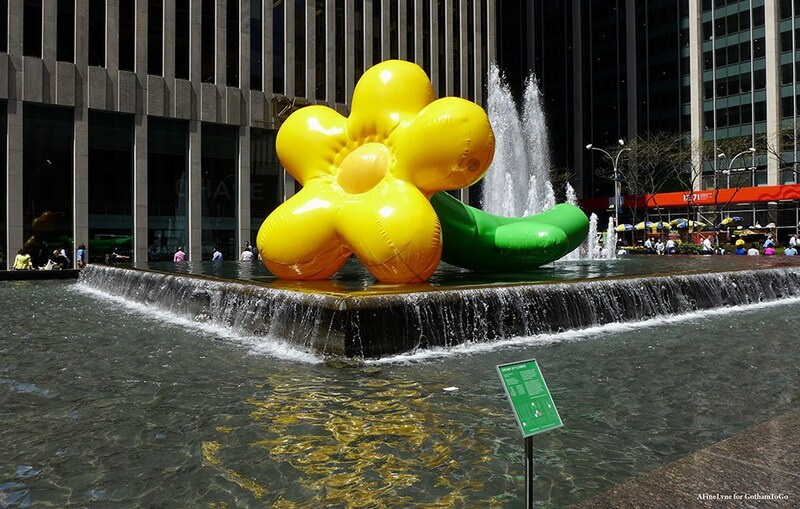 Let’s celebrate with 46 art installations, events and exhibits not to miss in June. 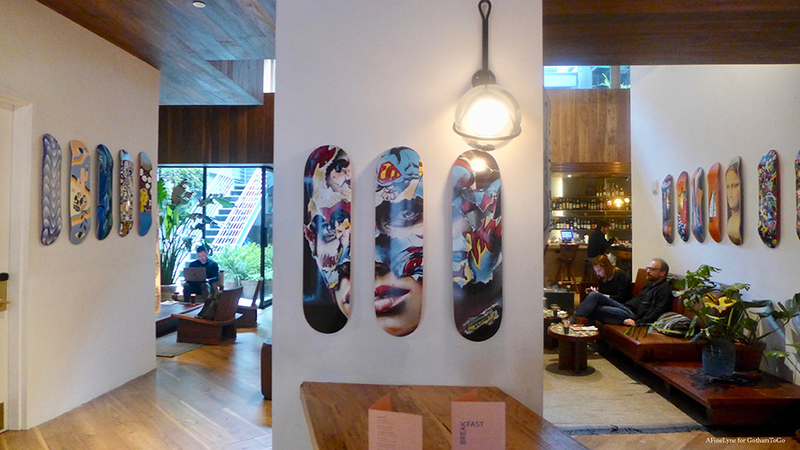 Dozens of acclaimed artists have come together for the charitable exhibit, Ride for Mongolia, in an effort to raise funds for the production of the first skate park in Ulaanbaatar, Mongolia with an online auction. 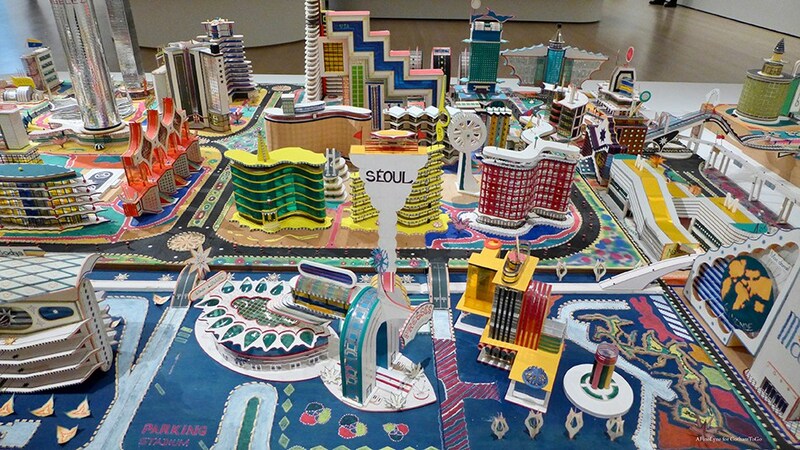 Exhibition on view through June 2nd. 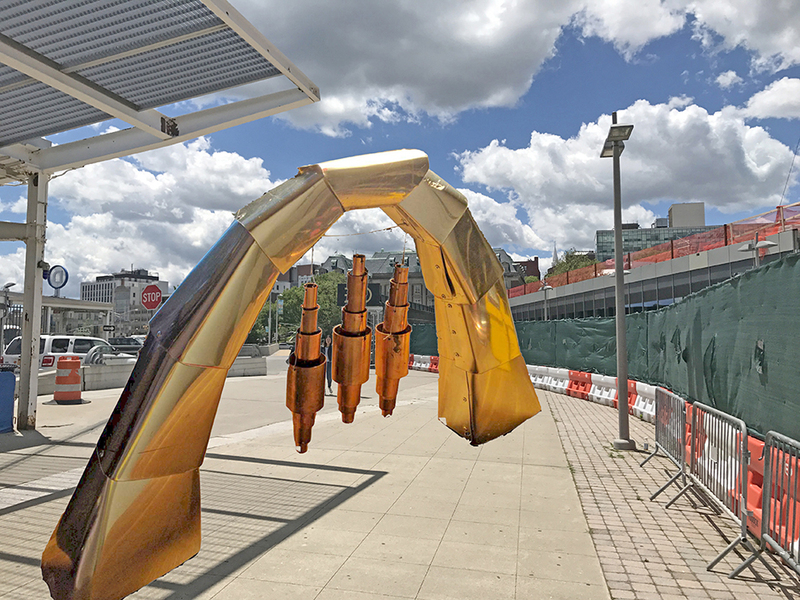 Design Trust for Public Space + Staten Island Arts announce the Future Culture 2018 Public Art Program Winners ~ Sonic Gates & Court Yard Fridays, a series of nine public artworks to be installed during the month of July, 2018. Thor Equities 2018 Coney Art Walls opened its gates on Friday, May 25th. The outdoor museum of street art, curated by Joseph Sitt and Jeffrey Deitch will remain open on weekends from Noon to 8pm through September. 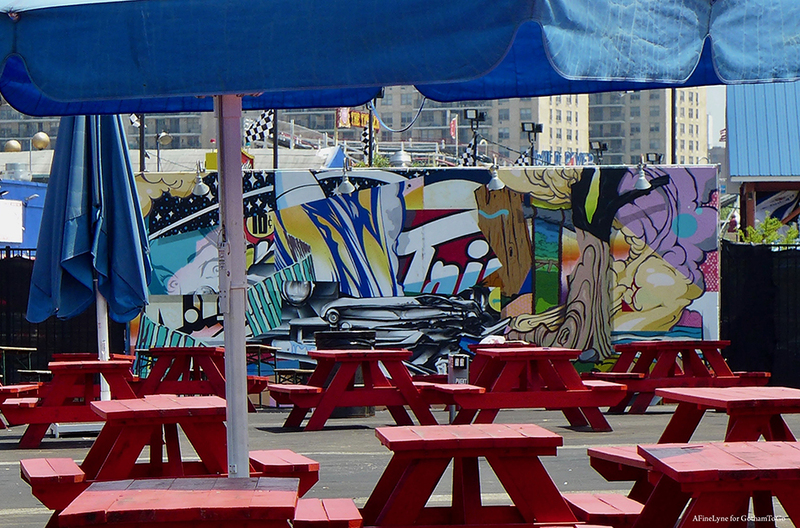 Coney Art Walls is located at 3050 Stillwell Avenue in Coney Island ~ near the beach and the subway. People ~ we live in a city with 8 million of them, all different and all following their own dreams. And so, the exhibition entitled People at Deitch Projects represents that same diversity and style, created by twenty-nine artists ~ from the ordinary to objects of fantasy. 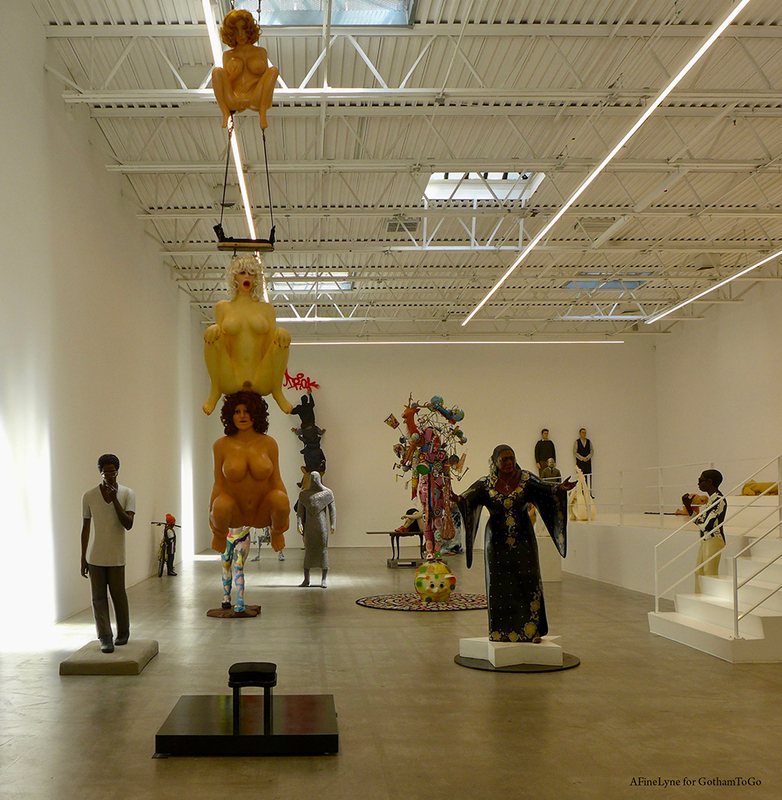 The works, reflecting a new approach to figurative sculpture inspired by the innovations of Dada, Surrealism and Assemblage, were inspired by Mike Kelley’s influential exhibition The Uncanny. 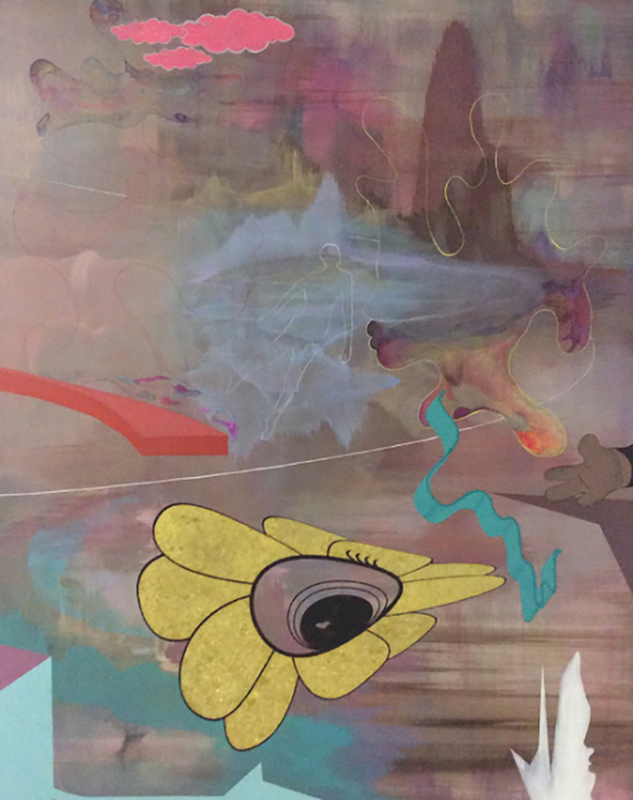 Read on about related programming at Jeffrey Deitch’s 76 Grand Street Gallery. The exhibition, People, will be on view to June 30, 2018 at Deitch Projects, located at 18 Wooster Street in Soho. 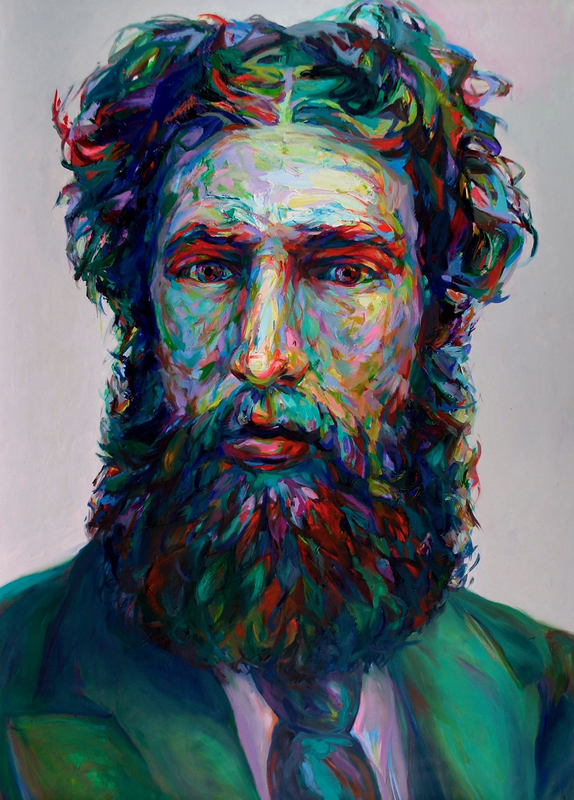 The Andrew Freedman Home presents, I Dream Like This Everyday, a solo exhibition by AFH artist-in-residence, Note’ Peter George. As a sidenote, I am pleased to hear that one of my favorite fine art printers, Uptown Fine Art Printing Studio, now has shop space at Andrew Freedman Home. 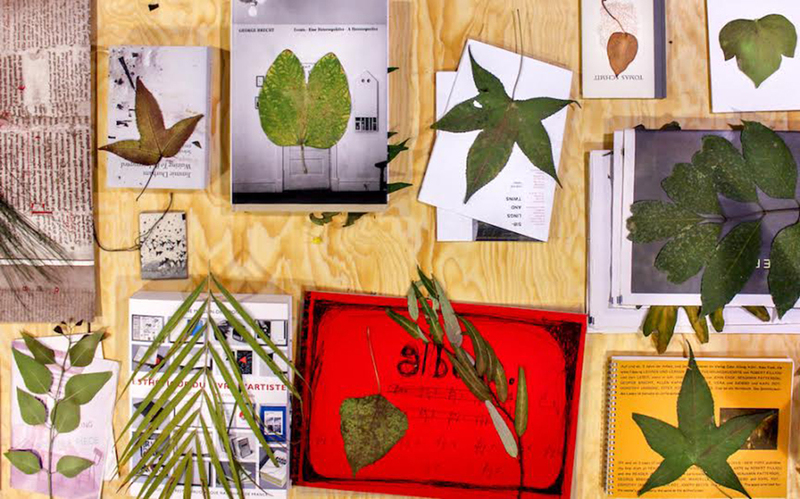 The participating artists, all Latin-American based, work with the theme title, Common Silence, focusing on printed matter’s ability to enact social change through small-scale action, generating micro-policies. 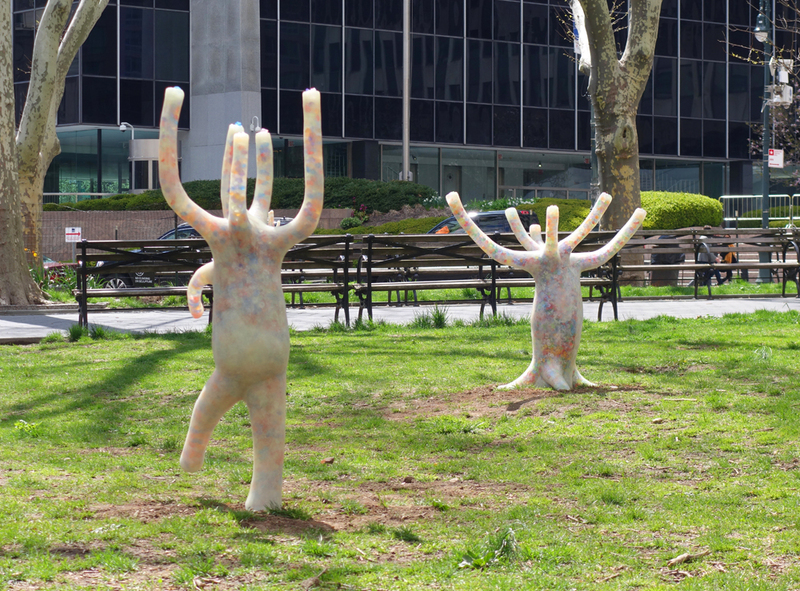 In addition, Hashimoto will exhibit a colorful, whimsical outdoor installation nearby at St. Cornelius, Liggett Hall Archway. Jacob Hashimoto on Governors Island will be on view from June 2 through October 31, 2018. 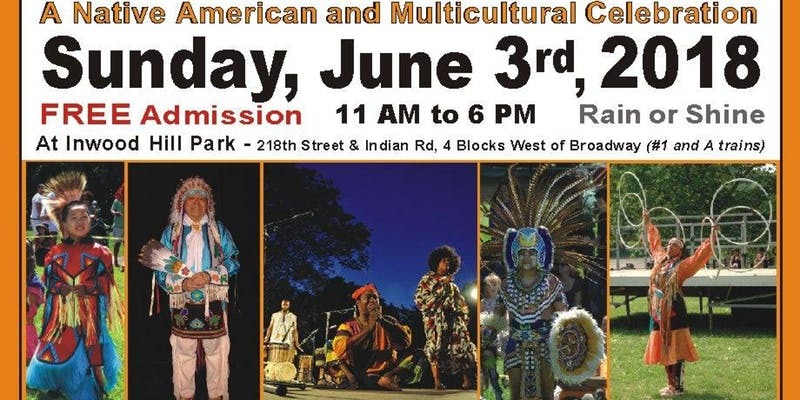 The 16th Annual Drums Along the Hudson will take place on Sunday, June 3rd in Inwood Hill Park. 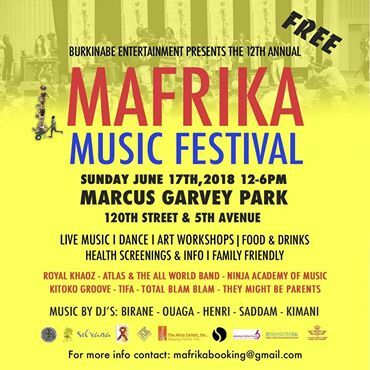 This is a free event featuring Native American, Japanese, Brazilian, Flamenco, and Korean dancers and drummers from around the world. 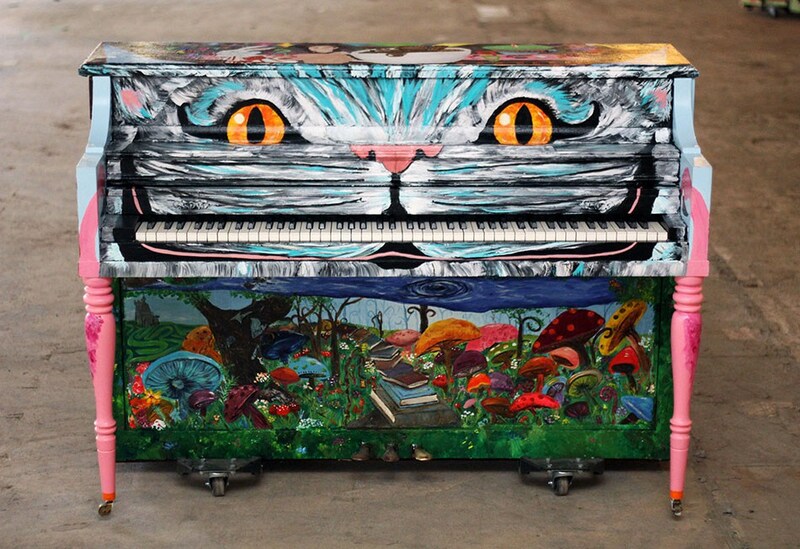 Sing for Hope Pianos will once again fill 50 of our parks and public spaces this June, along with a piano on wheels that will bring pop-up performances to neighborhoods throughout the five boroughs. The 2018 Writer’s Hotel Conference will be held from June 6-12 in the Roger Smith Hotel, the Library Hotel, the Casablanca Hotel, and the Algonquin. 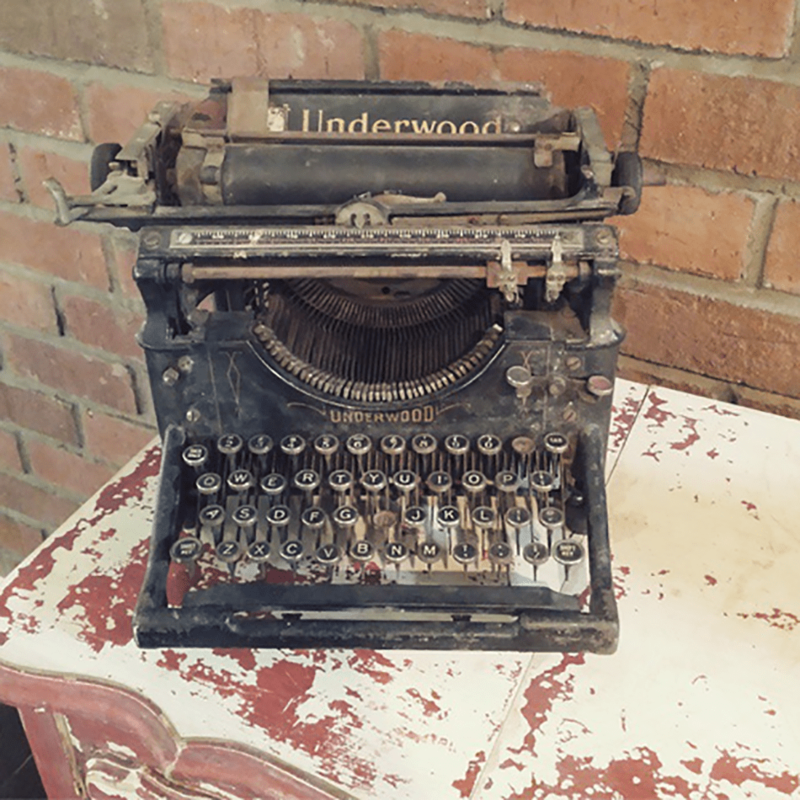 It will feature workshops in poetry, fiction and creative nonfiction, and include labs, lectures, publishing, readings and meetings with agents and editors. 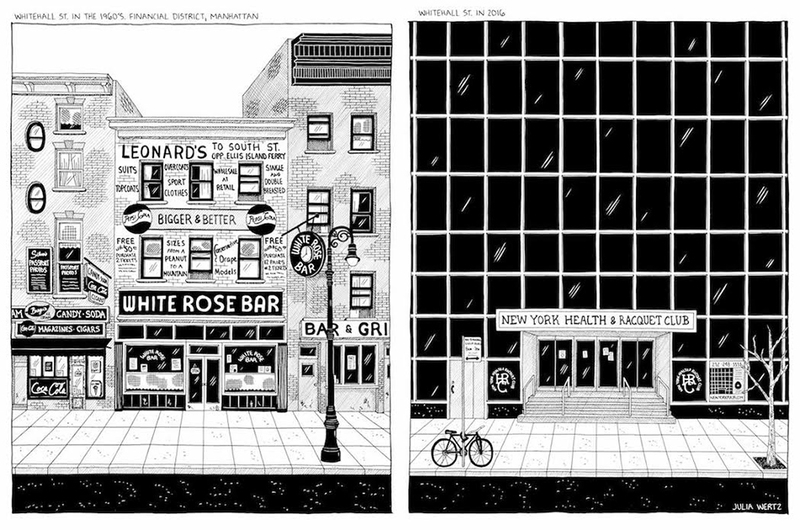 In addition, there will be walking tours of New York City. 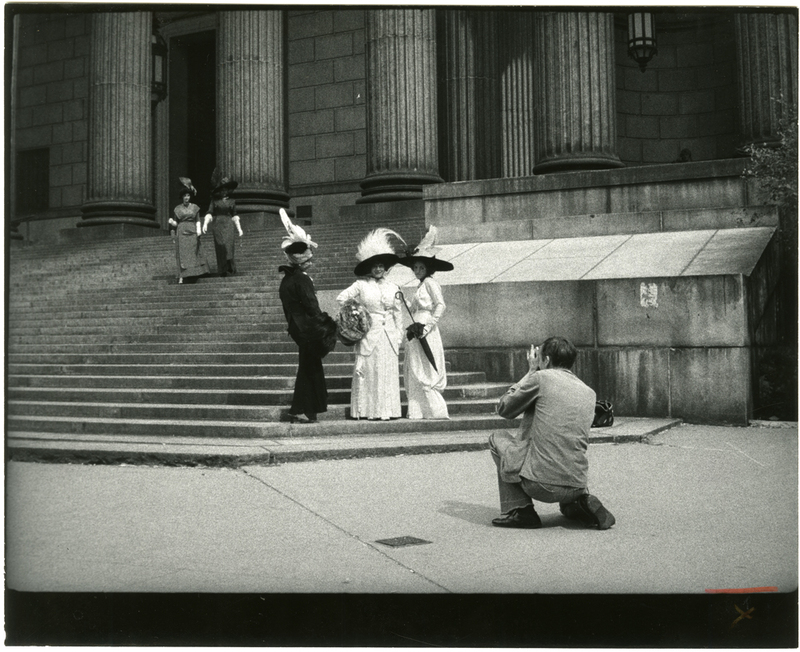 The New York Historical Society presents the life of this iconic figure in its exhibit, Celebrating Bill Cunningham. 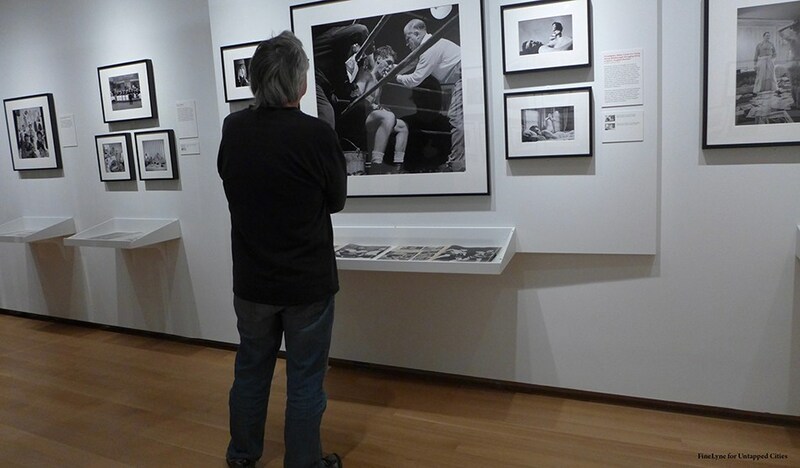 Recent acquisitions by The New York Historical Society will be on view and include many personal items like the bike he rode all around this city, his first camera, his signature blue jacket and many personal photographs of Cunningham at home and with friends. 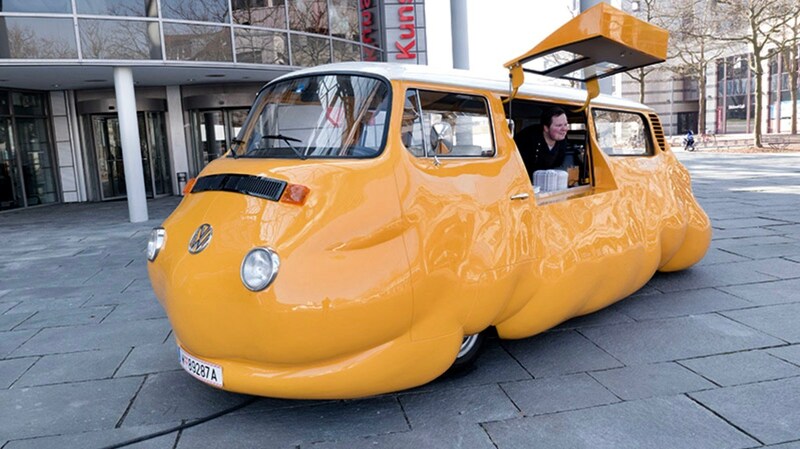 The Public Art Fund presents, Erwin Wurm: Hot Dog Bus at Brooklyn Bridge Park in DUMBO on June 9th! Hot Dog! Looking forward to this vintage Volkswagen Microbus, transformed into a work of food art, serving free hot dogs all summer! 2018 Museum Mile Festival from 82nd Street to 105th Street on Fifth Avenue from 6-9pm ~ New York’s biggest block party! 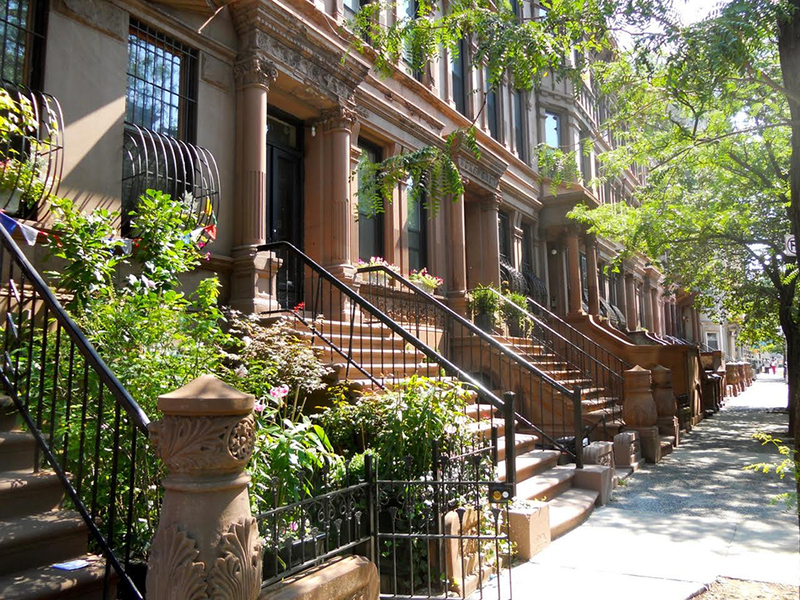 Museums include El Museo del Barrio, Museum of the City of New York, The Jewish Museum, Cooper Hewitt, The Guggenheim, Neue Galerie, and The Metropolitan Museum of Art. 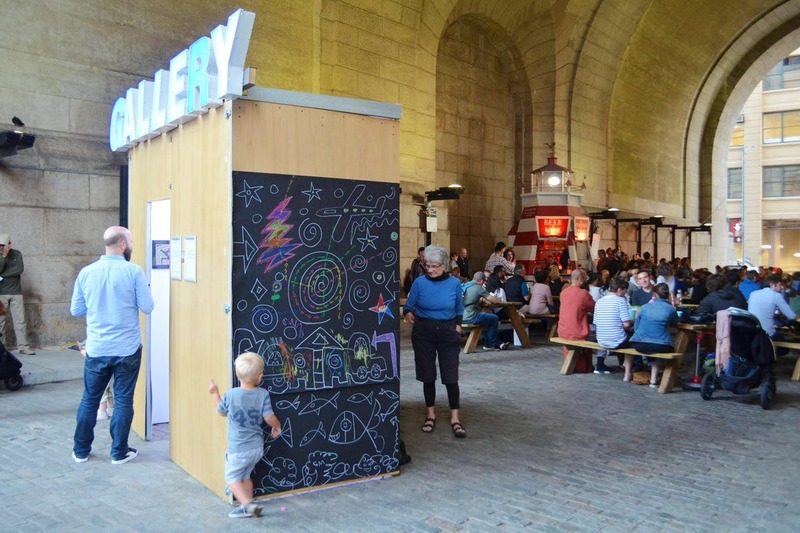 In the Gallery at Manhattan Bridge Archway in DUMBO, presented by DUMBO Business Improvement District, will take place every Thursday evening from June to September ~ Live at the Archway in DUMBO. 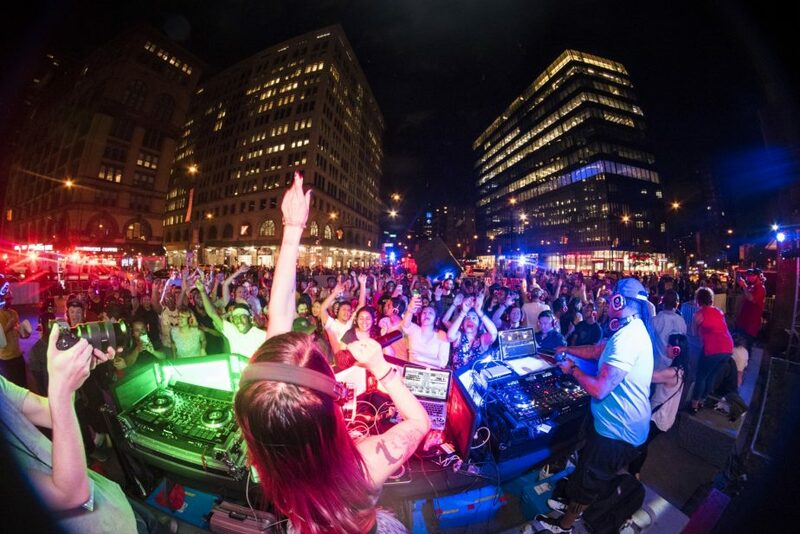 Astor Blaster Silent Disco will take place on June 1st from 6-10pm at the Astor Place ‘Cube’! 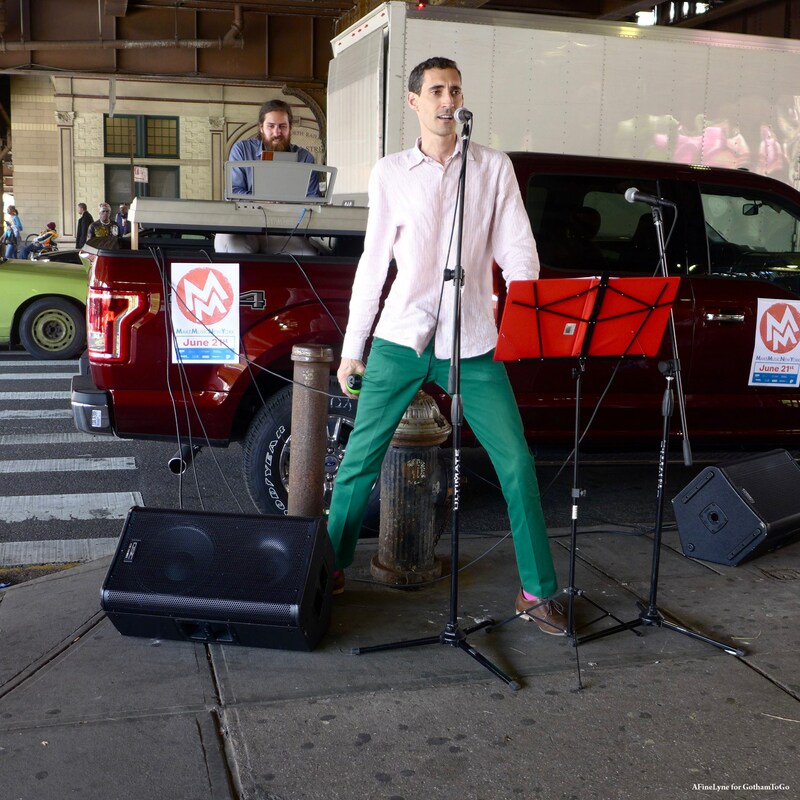 Presented by Quiet Events, Astor Place, and the Village Alliance, party-goers will enjoy three live DJs spinning on three different channels. Free with Registration. 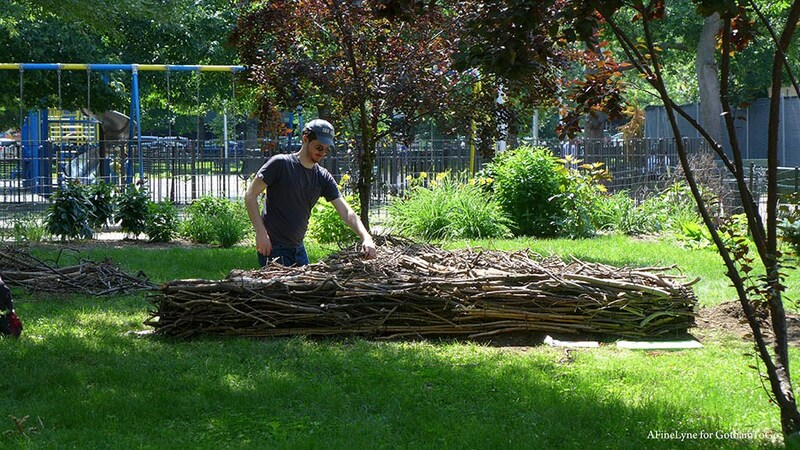 Marcus Garvey Park in Harlem will be the site of eight sculptures as part of The Studio Museum in Harlem’s inHarlem project, in partnership with the Marcus Garvey Park Alliance and NYC Parks. 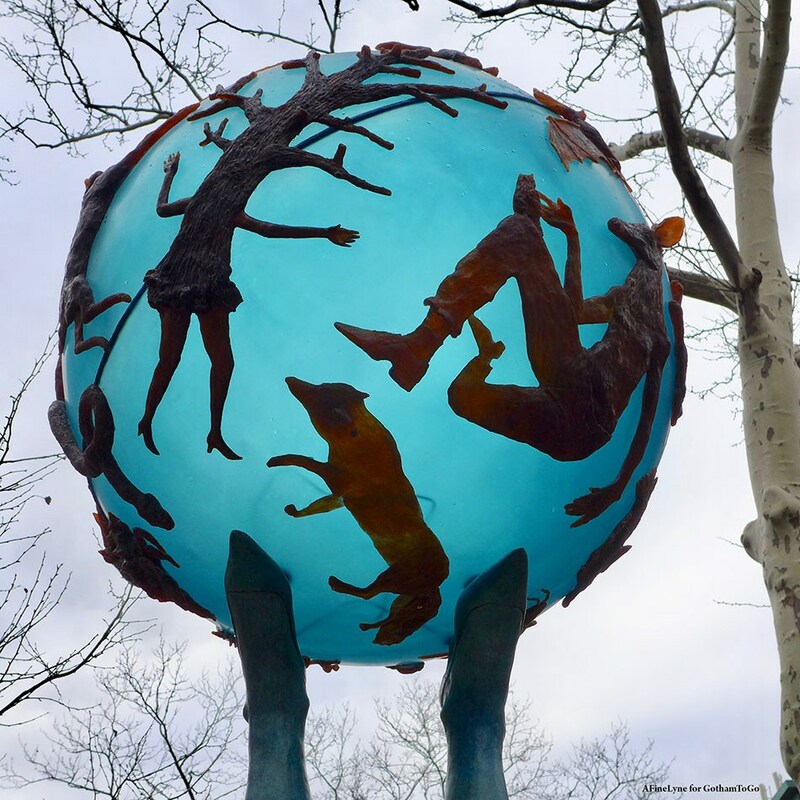 The eight installations entitled, Monuments, will be unveiled on Saturday, June 16th (rain or shine) from 3:00-5:00pm ~ Free with Reservation, located in Marcus Garvey Park at Madison Avenue & 123rd Street entrance. 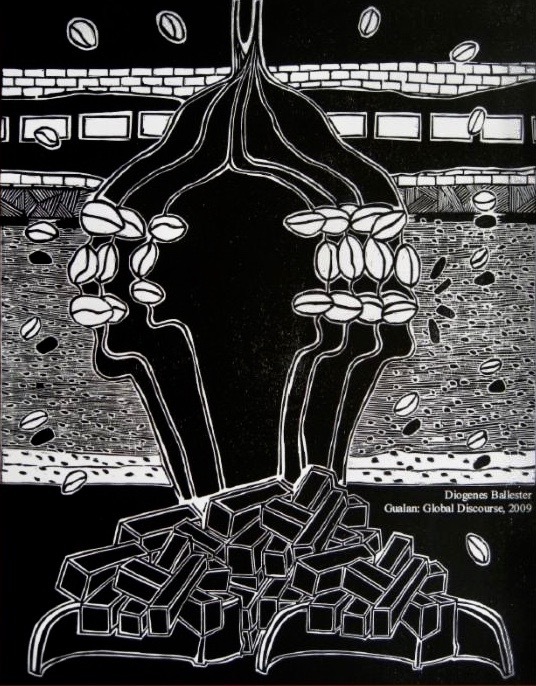 Save the Date and Join inHarlem for a Guided Tour ~ Maren Hassinger: Monuments on July 14 from 1:00-2:00pm. Free with Reservation. 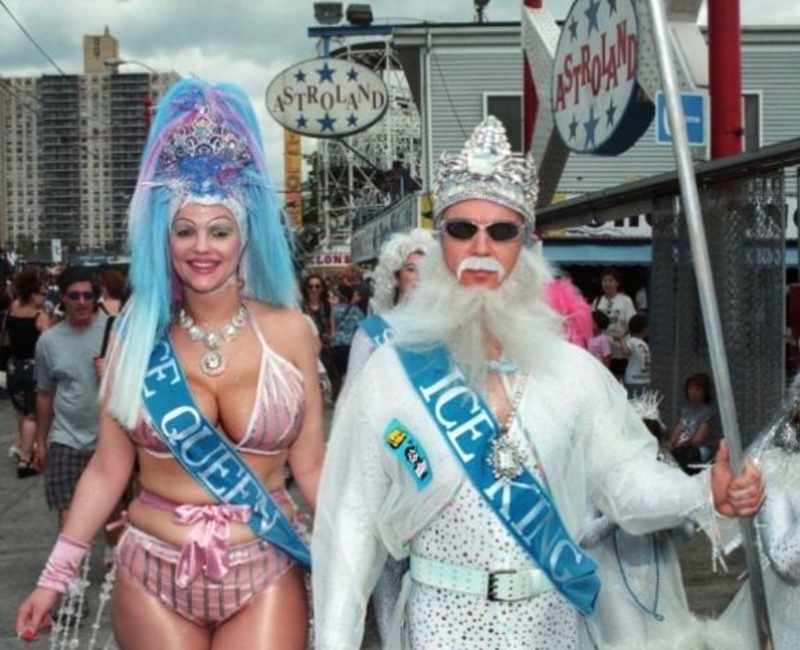 Get ready for The 36th Annual Mermaid Parade, with co-presenter ‘Kitchen 21.’ Said to be the largest art parade in the nation, this year’s celebration of ancient mythology and honky-tonk rituals of the seaside will showcase over 1,500 creative individuals from all of our five boroughs (and beyond). 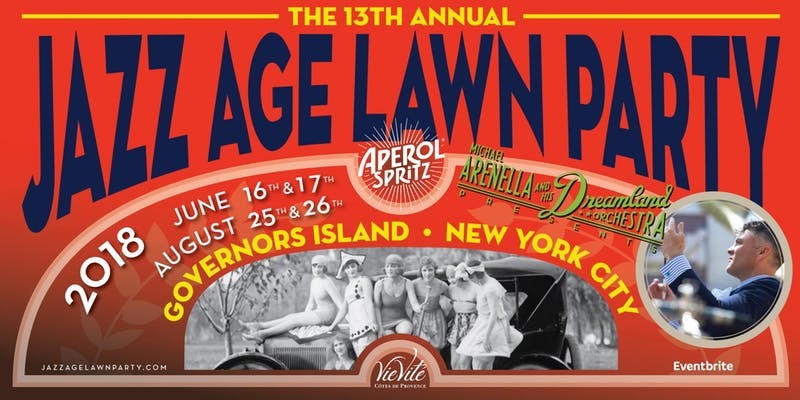 Michael Arenella’s 13th Annual Jazz Age Lawn Party celebrates the world’s original and largest prohibition era inspired gathering, and it happens on Governors Island. Can’t make it? Happening again on August 25-26. 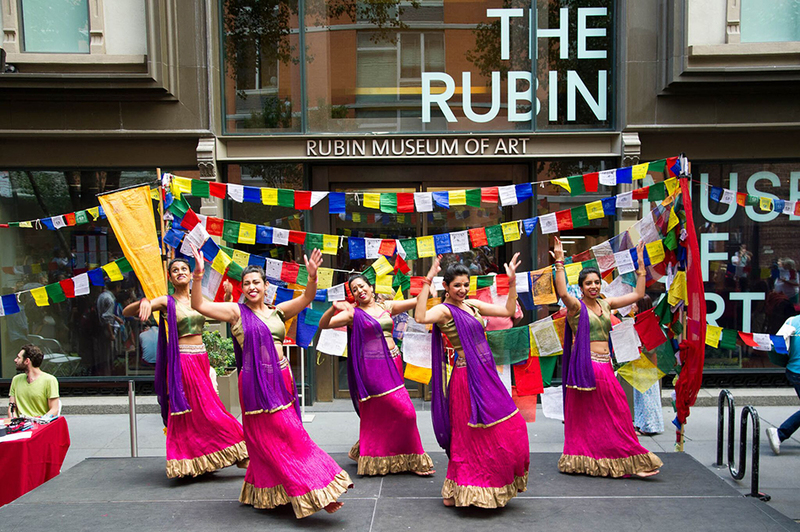 The Annual Rubin Museum Block Party will take place on June 17th, with this years theme, We Make the Future. This is a day of family art-making, performances and free admission to the Museum ~ with the entire street closed to traffic. This year, it takes place on Father’s Day. 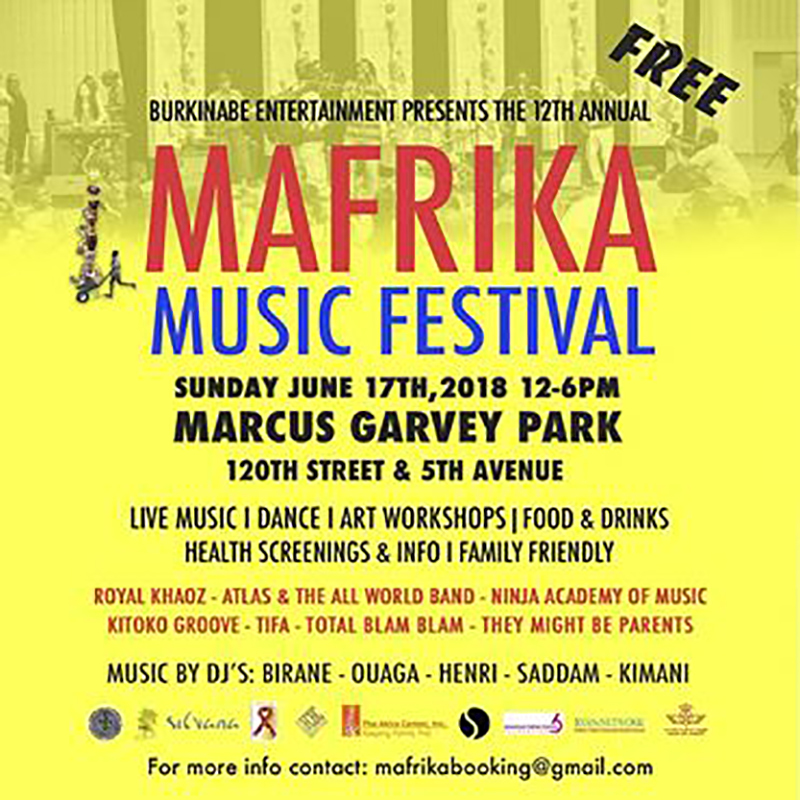 The 2018 Mafrika Music Festival will take place on Sunday June 17th from Noon to 6pm in Marcus Garvey Park. 23. 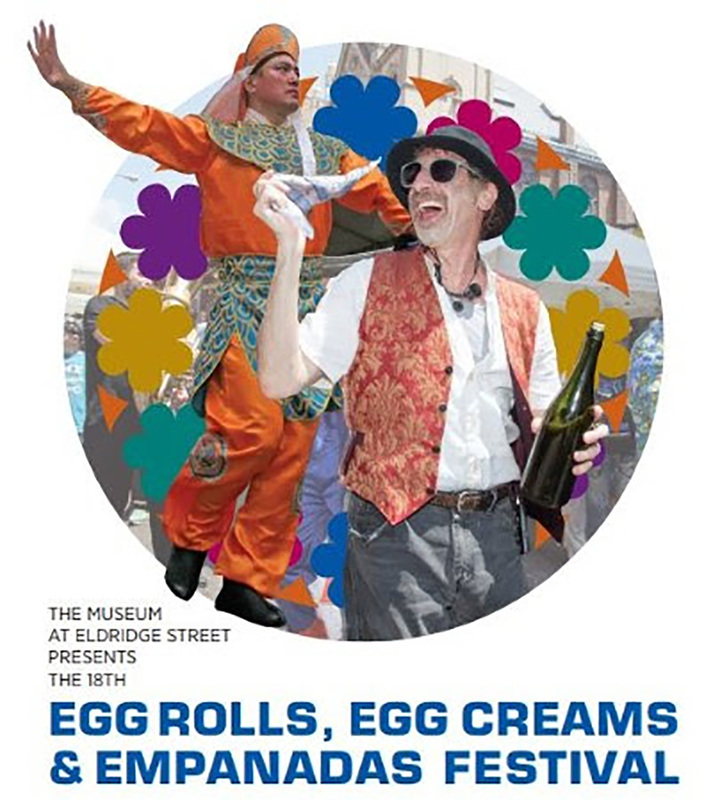 June 17 ~ Egg Rolls, Egg Creams, and Empanadas Festival! 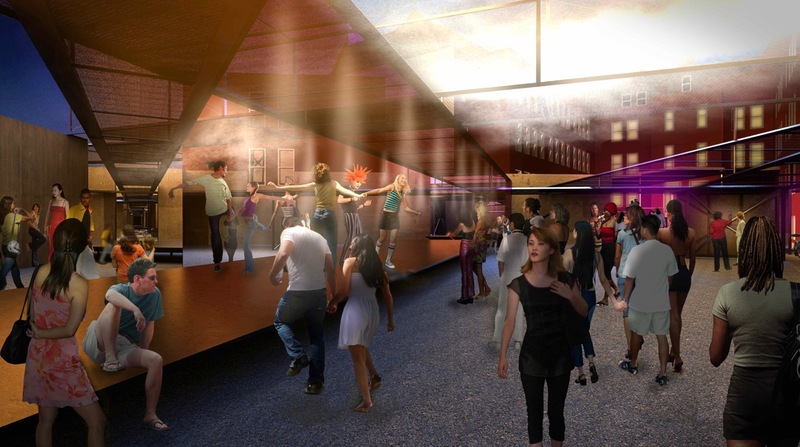 Celebrate the diverse ethnic communities of the Museum at Eldridge Street’s Lower East Side/Chinatown neighborhood! With the Museum’s home, the landmark Eldridge Street Synagogue, as its centerpiece, this neighborhood festival spills out onto the street with a mash-up of Jewish, Chinese and Puerto Rican tastes, traditions, sights, and sounds. 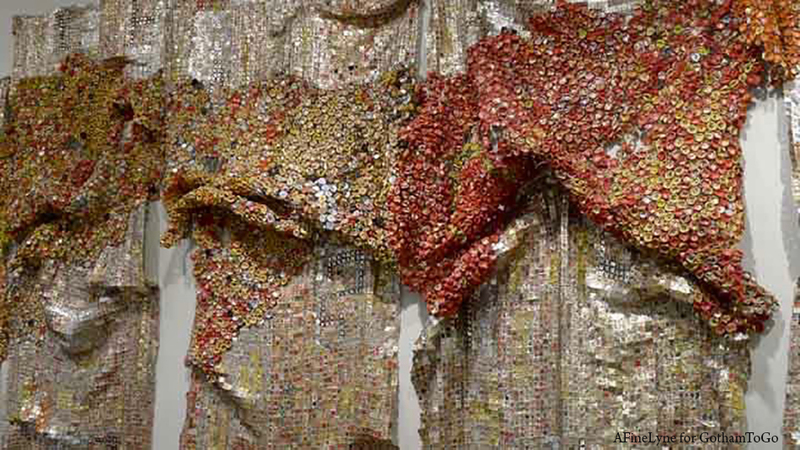 Image from El Anatsui’s first solo exhibition in New York at Brooklyn Museum in 2013. Coming to The 8th Floor, Sedimentations: Assemblage as Social Repair ~ an exhibition exploring strategies of reuse in their art making, and incorporating found and repurposed materials, from accumulation and assemblage, to the construction of landscapes and discrete objects, that reference a multitude of timescales and politics. 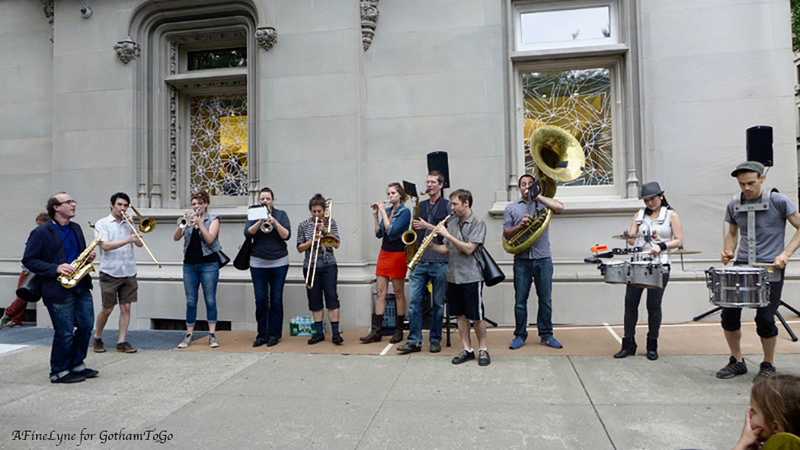 Make Music New York returns to the streets of New York on Thursday, June 21st with a day-long musical celebration in more than 70 U.S. cities and 800 cities worldwide, with lots of performances in our five boroughs. 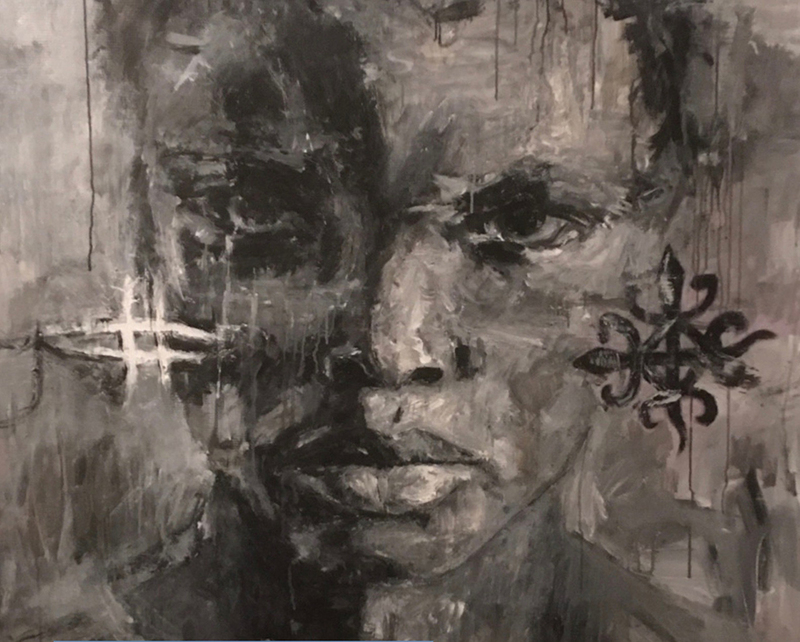 Global Reflections 2018: Spirit of Community will be on view from June 13 to August 15, 2018 at The Interchurch Center, presented by Community Works NYC, New Heritage Theatre Group in partnership with The Harlem Arts Alliance, NOMAA, The Center for Cuban Studies and The Interchurch Center. Day 1 keynote speaker ~ Sir David Adjaye. Doesn’t get better than that. 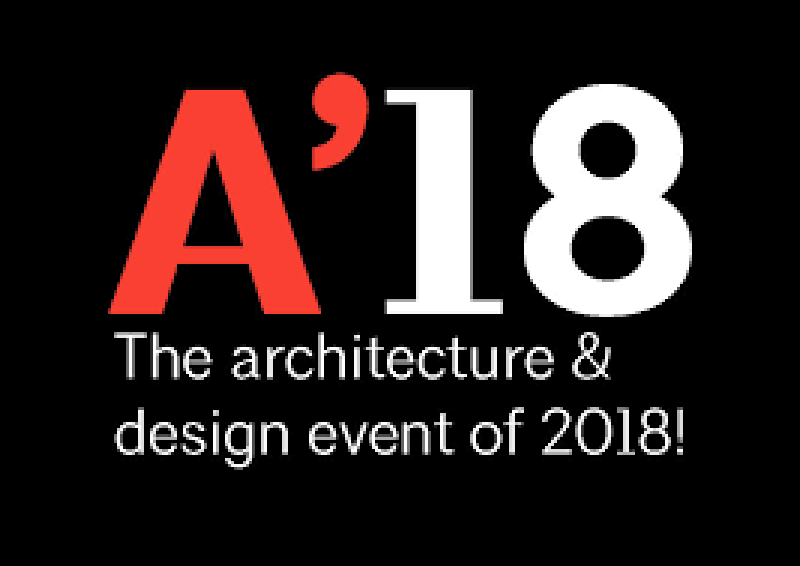 The AIA Conference on Architecture 2018 and DJ Questlove will spin your fav’s at the Party ~ from June 21-23. Faction Art Projects Harlem will unveil the new exhibit, Others, with three artists portraying alternative masculine identities, using differing styles. 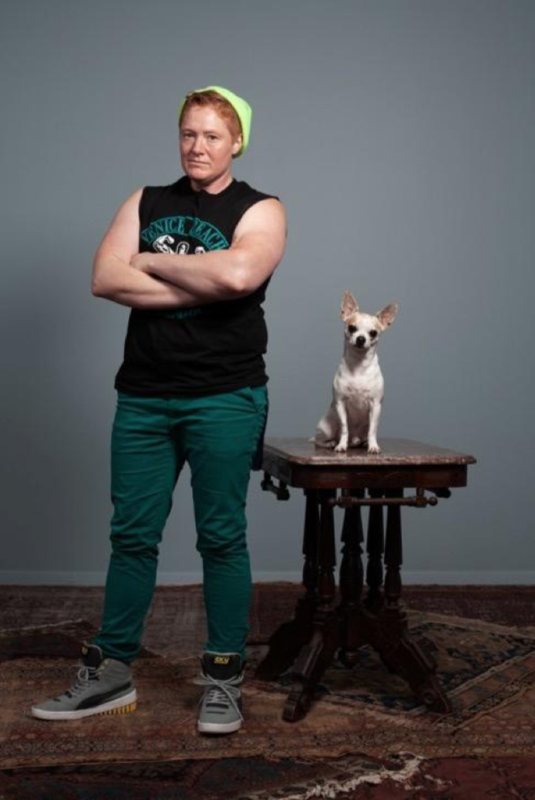 June 24 & June 26 Just in Time for Pride Week, Becca Blackwell returns to Joe’s Pub with the critically acclaimed one-person tragicomedy, Becca Blackwell: They Themselves & Schmerm, a unique and irreverent take on trans life. Also on tap during Pride Week, the photo exhibition Queer Eye at X Gallery in Harlem, featuring Lola Flash, opening June 14th. And June 14-24, check out NYC Pride Official Events ~ Defiantly Different. 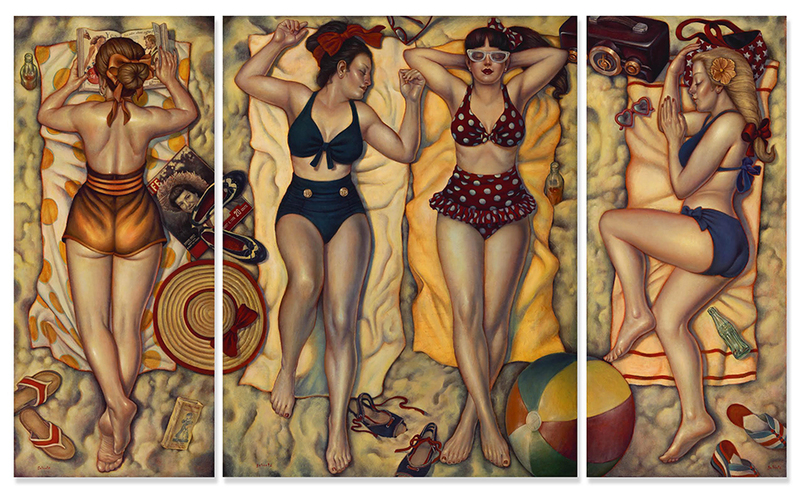 The Joanne Artman Gallery is kicking-off summer with the exhibit, Endless Summer’ by the artist Danny Galieote. Each beautiful piece of work is reminiscent of classic vintage postcard imagery. Searching for Soul: NYC in the Age of Hyper-Gentrification is sure to be a lively discussion between writers Jeremiah Moss and Sharifa Rhodes-Pitts, and cartoonist Julia Mertz as they talk with New Yorker staff writer Vinson Cunningham about what it means to capture the “soul” of the city ~ at Museum of the City of New York. 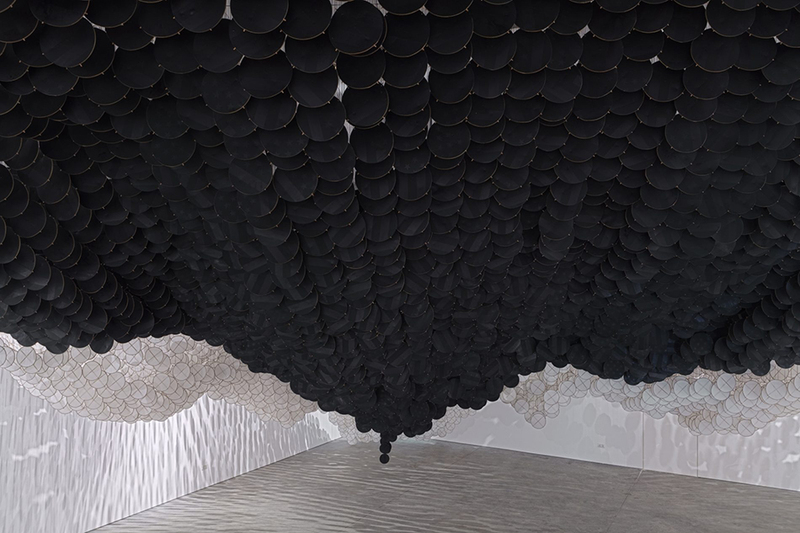 Young Architects Program 2018: Hide & Seek by Dream the Combine (Jennifer Newsom and Tome Carruthers) is the winner of The Museum of Modern Art and MoMA PS1‘s annual Young Architects Program. On view June to September, 2018. 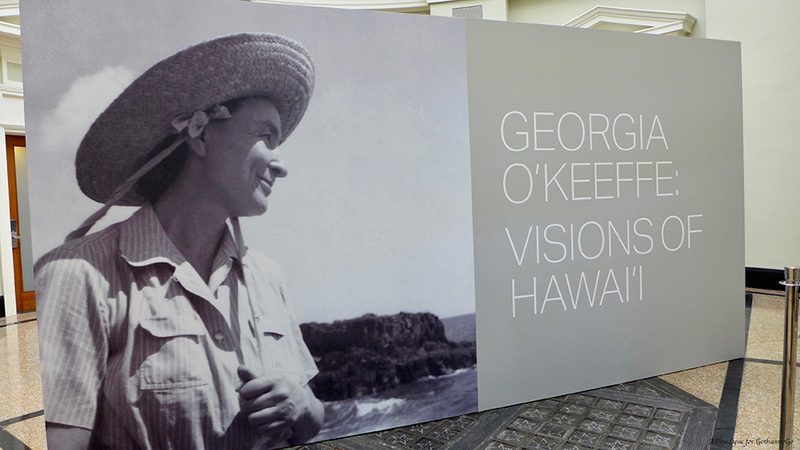 Visit a 12,000 square-foot Colonel row two-family home with an exhibit that will highlight the rich history of the Island and its inhabitants in the 1600s. 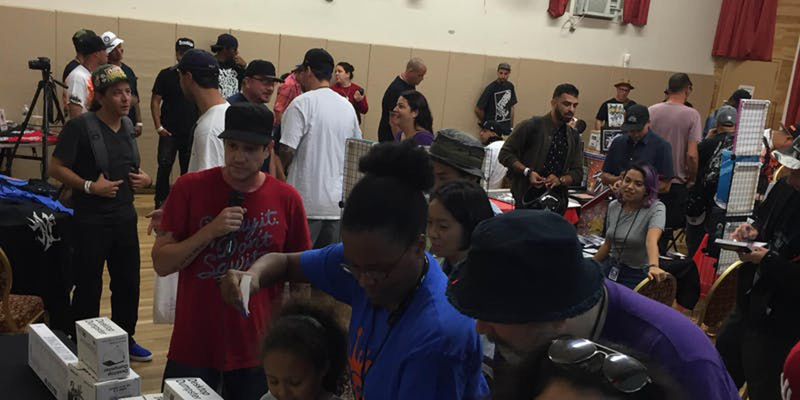 Early Encounters presented by the West Harlem Arts Fund. Have a powerful memory? The artist Judith Modrak has just the place for you to put it. Our Memories are seven sculptures that contains cavities in which participants can place a color-coded “memory stone.” Our Memories will be on view to March, 2019. 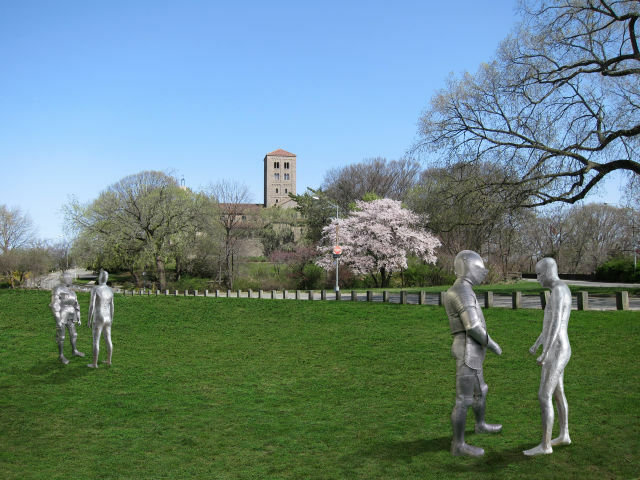 Three Medieval sculptures are the latest art installations on the lawn of Met Cloisters in Fort Tryon Park. 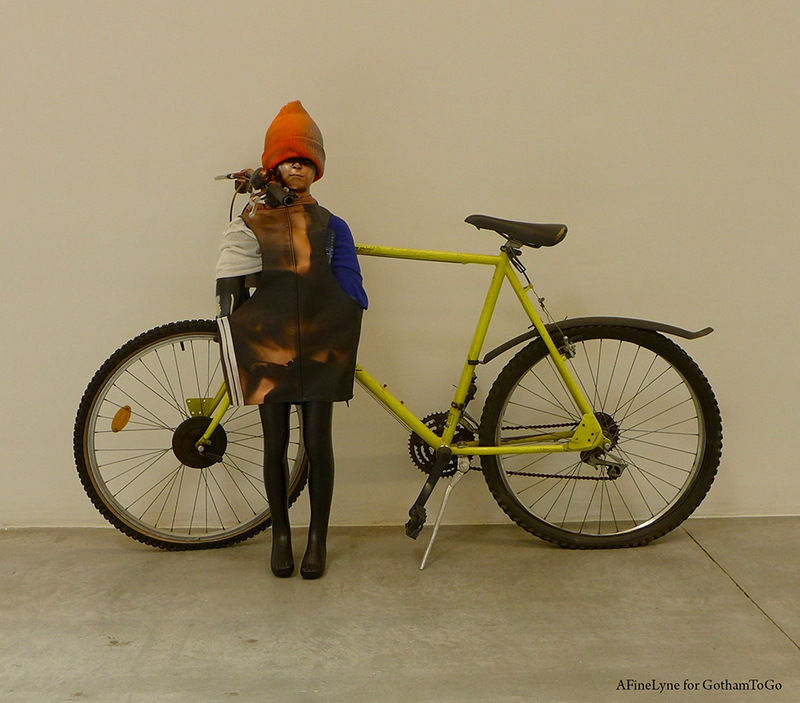 Entitled, Armors, they are the creation of artist Steinunn Thorarinsdottir, and will be on view to September 12, 2018. 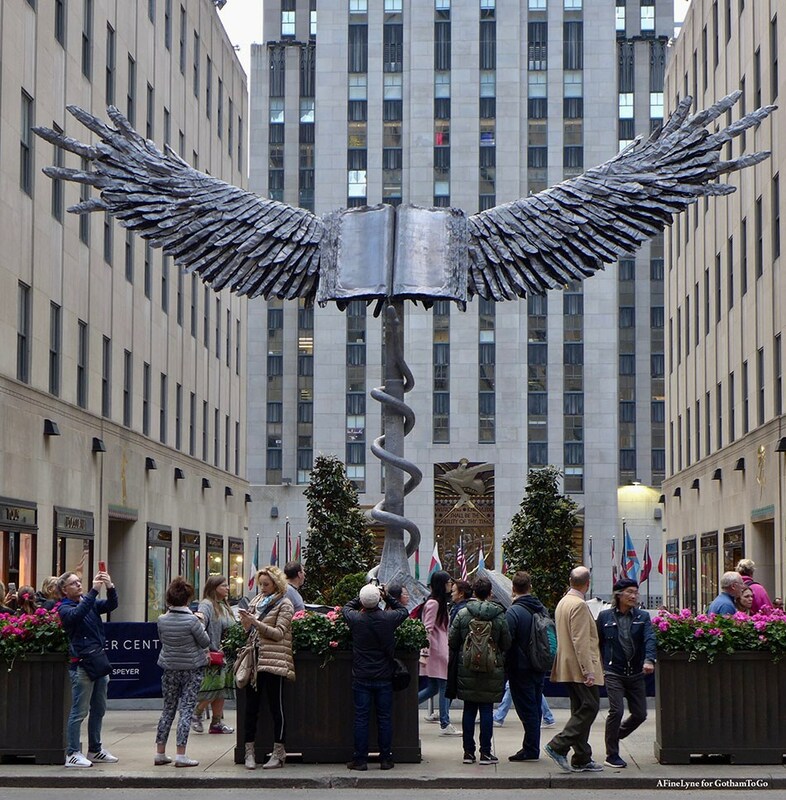 The Public Art Fund, Gagosian and Tishman Speyer unveiled Anselm Kiefer: Uraeus in the Channel Gardens at Rockefeller Center. 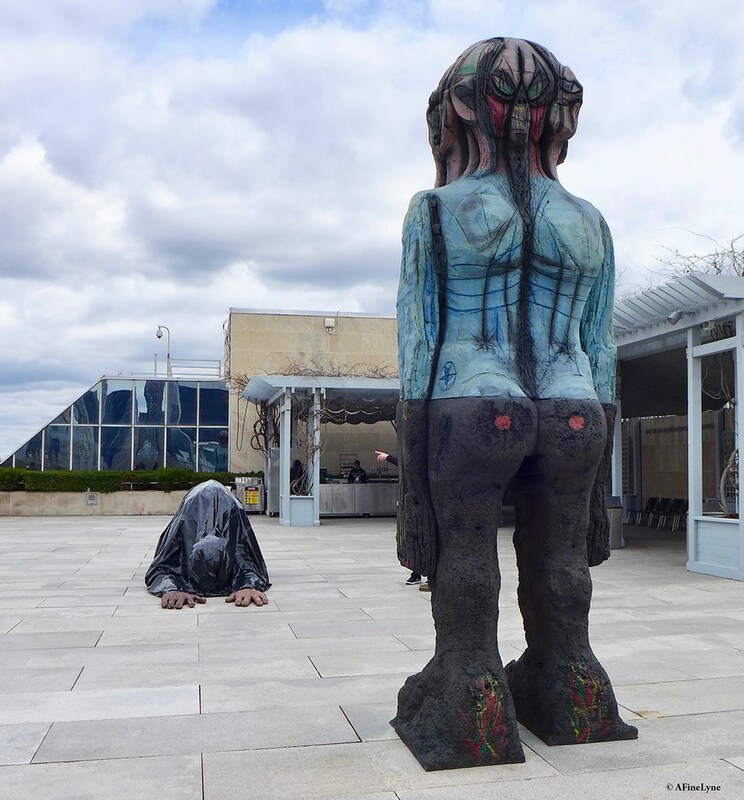 The Roof Garden at The Metropolitan Museum of Art opened with Huma Bhabha, We Come in Peace. The Broadway Mall Association presents Kathy Ruttenberg on Broadway: in dreams awake from 64th Street to 157th Street. 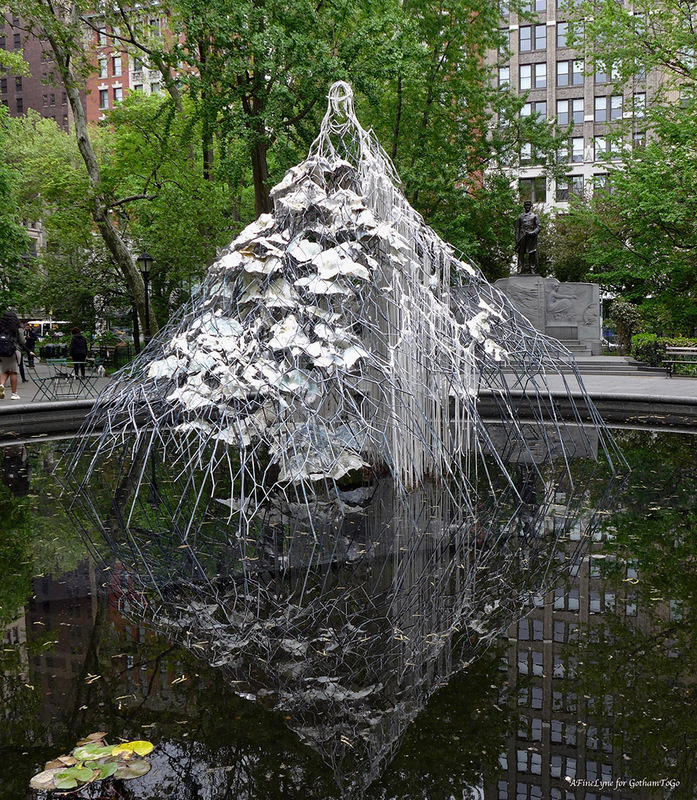 Six new art installations, entitled ‘Delirious Matter‘ by artist Diana Al-Hadid now on view in Madison Square Park. 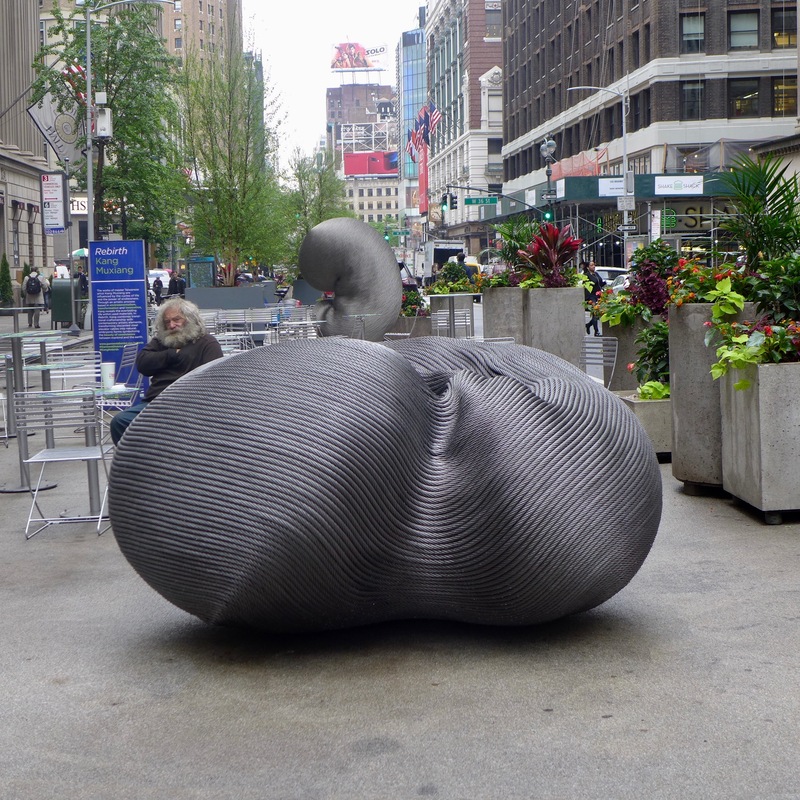 The Garment District Alliance and Taiwanese master-sculptor, Kang Muxiang present ~ Rebirth on the Broadway Mall between 37th and 38th Streets. The exhibition, Through a Different Lens: Stanley Kubrick Photographs will be on view at The Museum of the City of New York through October 28, 2018. 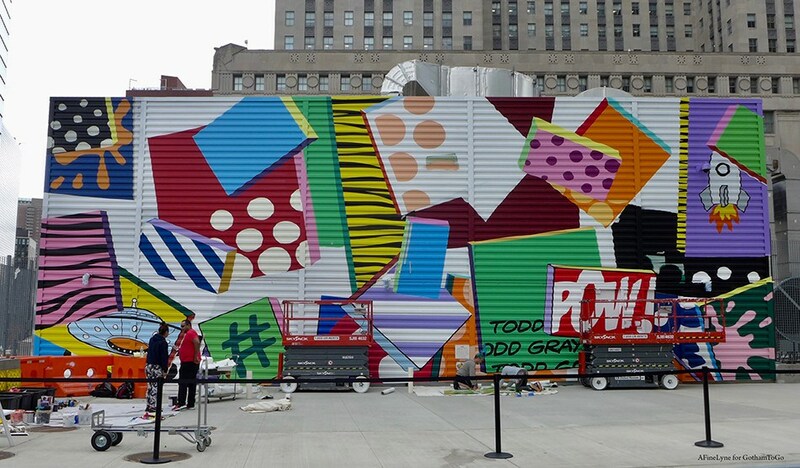 The artists for the Two World Trade Center Mural Project began their work this month and will cover the front of the large steel sheds with color and their signature work, bringing to this solemn site, a message for a hopeful future, as tourists and fellow New Yorkers pause to watch them work. Ending our Roundup with a reminder that June is #PrideMonth. 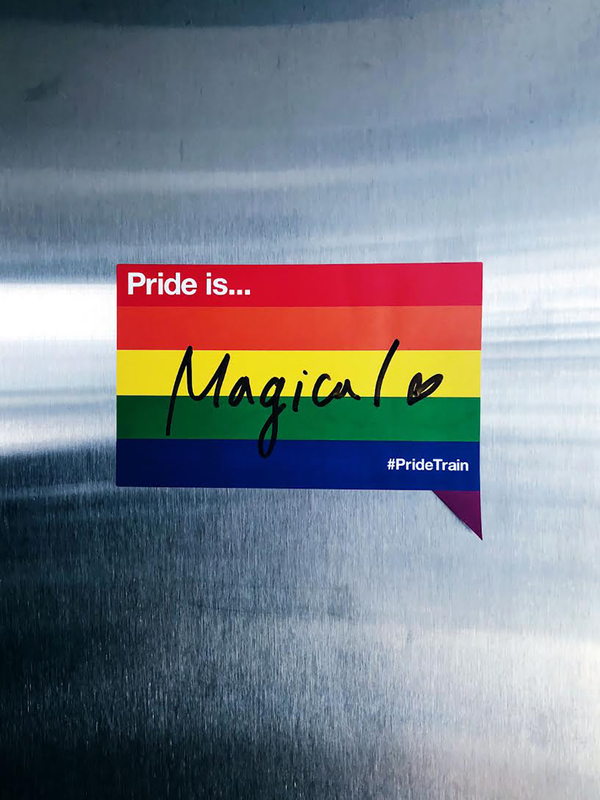 Hop on the #PrideTrain and keep it going……. Here is the full list of 37 Events, Exhibits & Installations Not to Miss in May, many still on view.